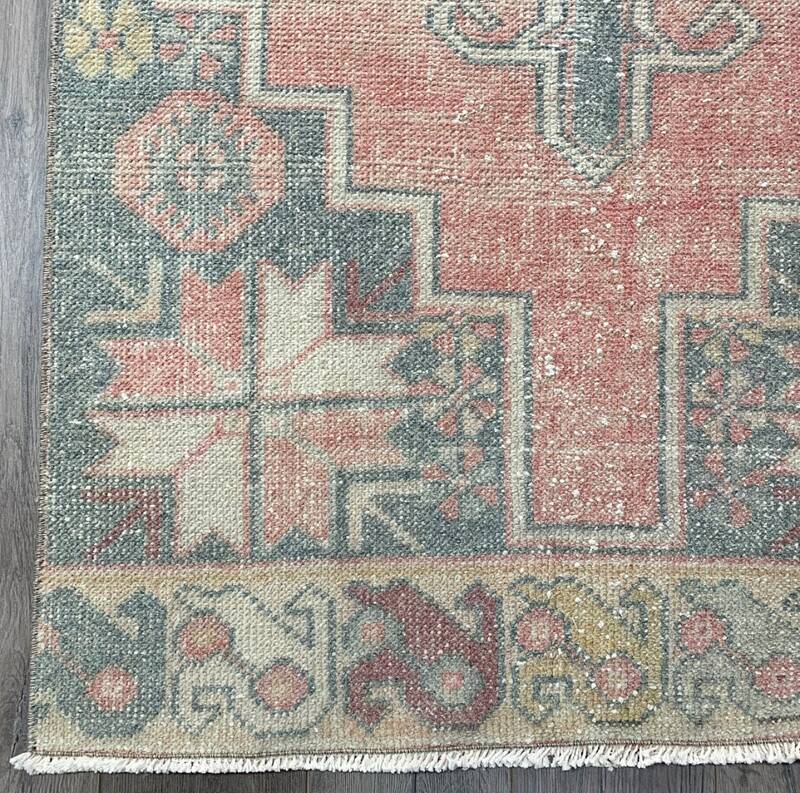 Looking for a vintage rug with the perfect muted colour palette? 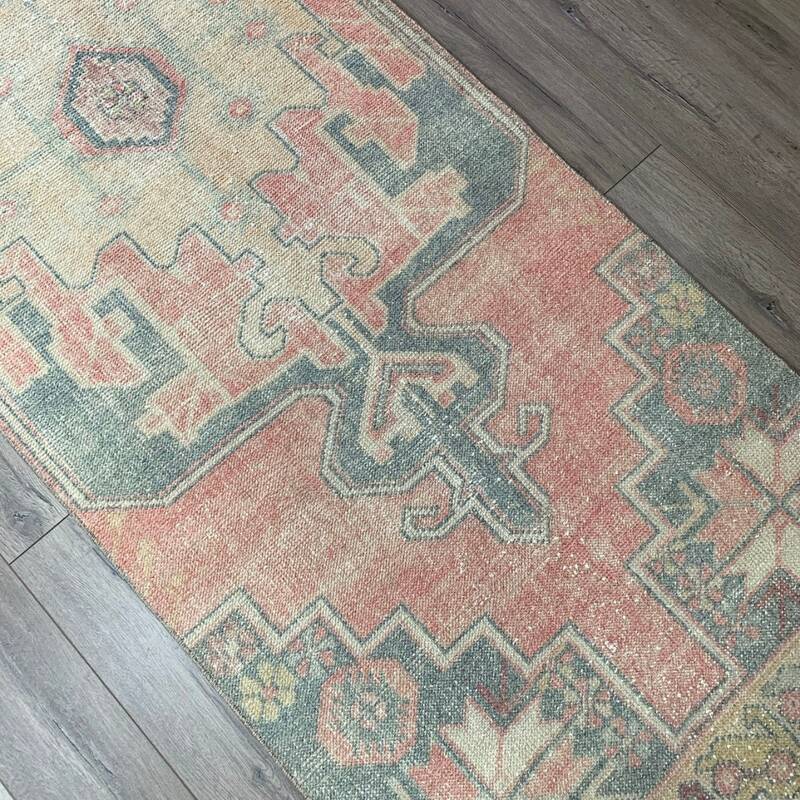 This rug has it in spades. 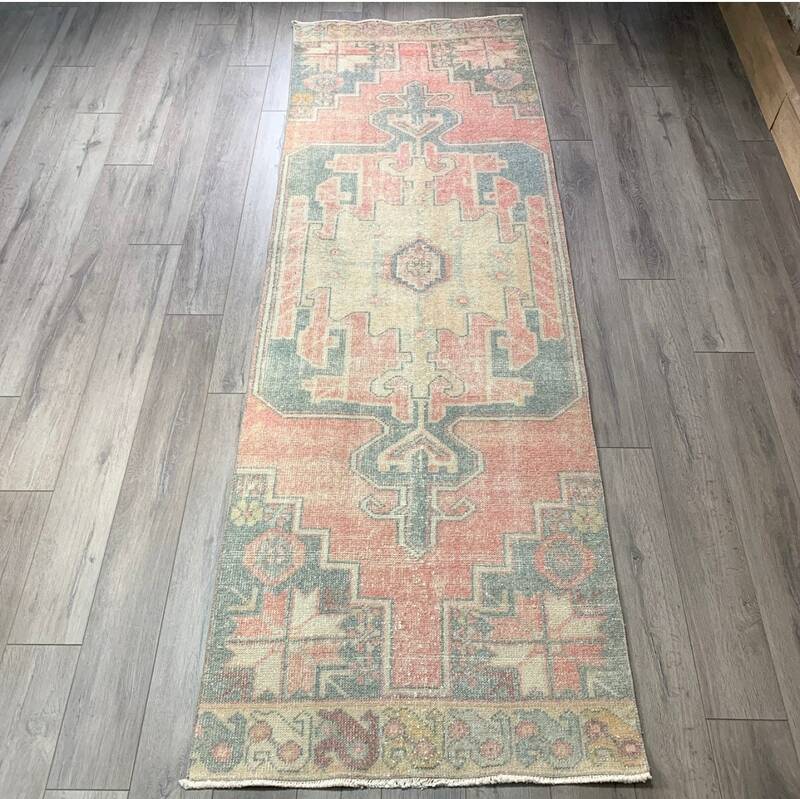 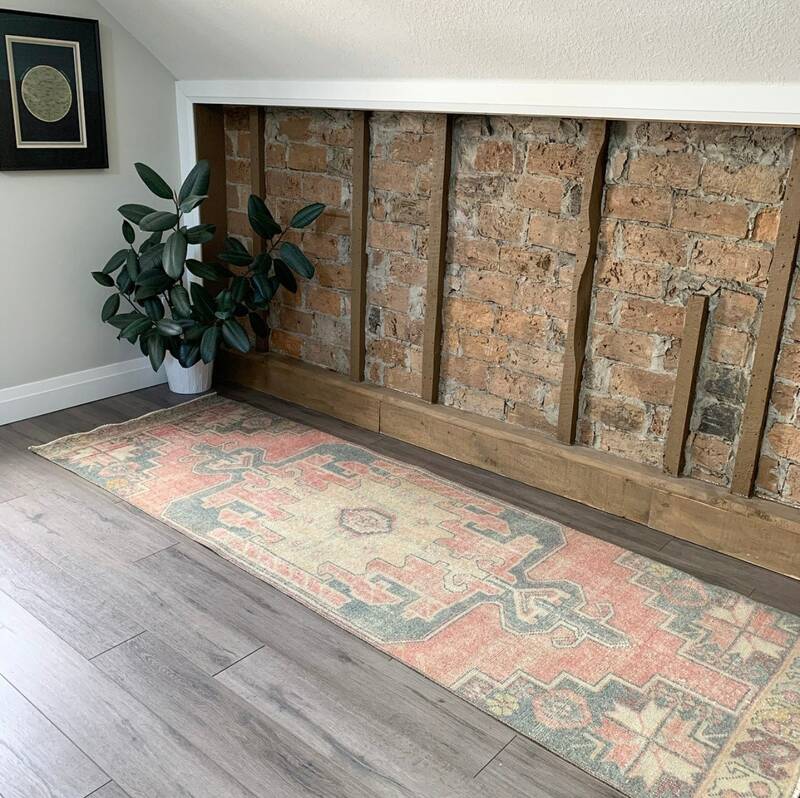 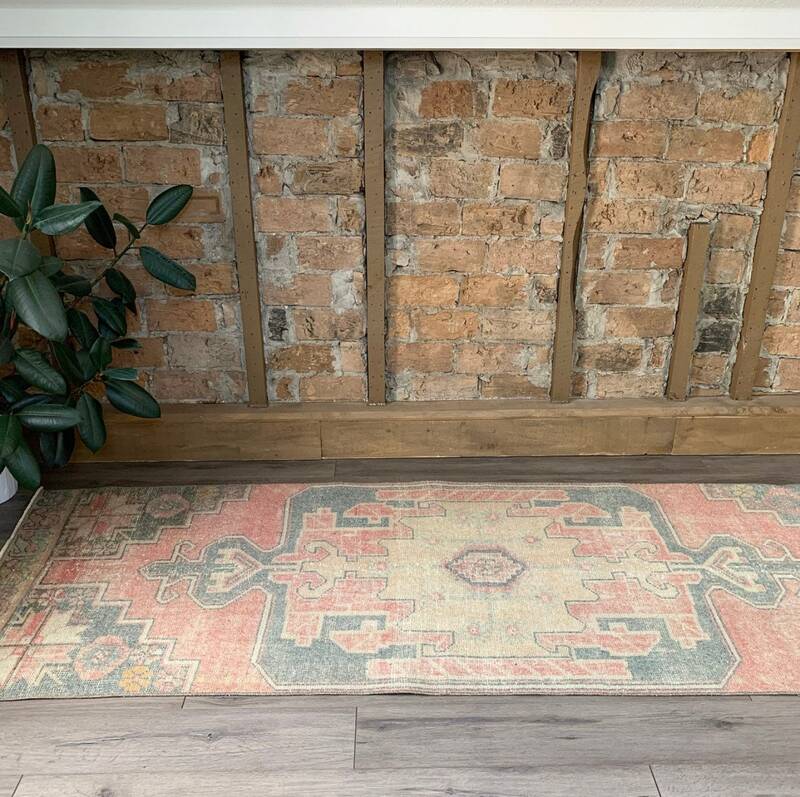 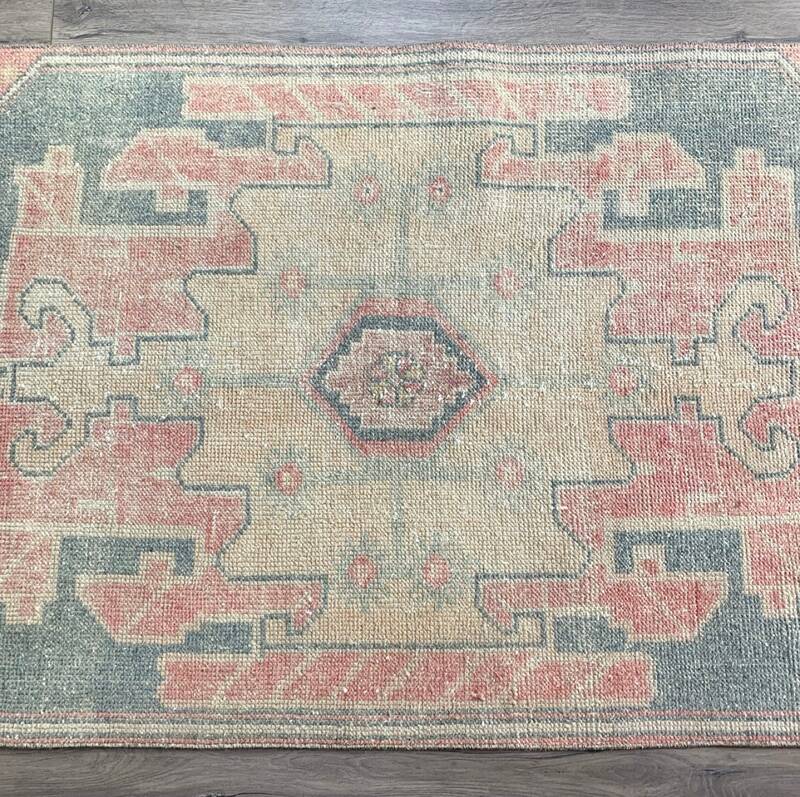 Muted warm pinky-terracotta colours mix with a subtle blue-green for corner and border highlights in this hand-knotted Turkish Oushak runner from the 1940s. 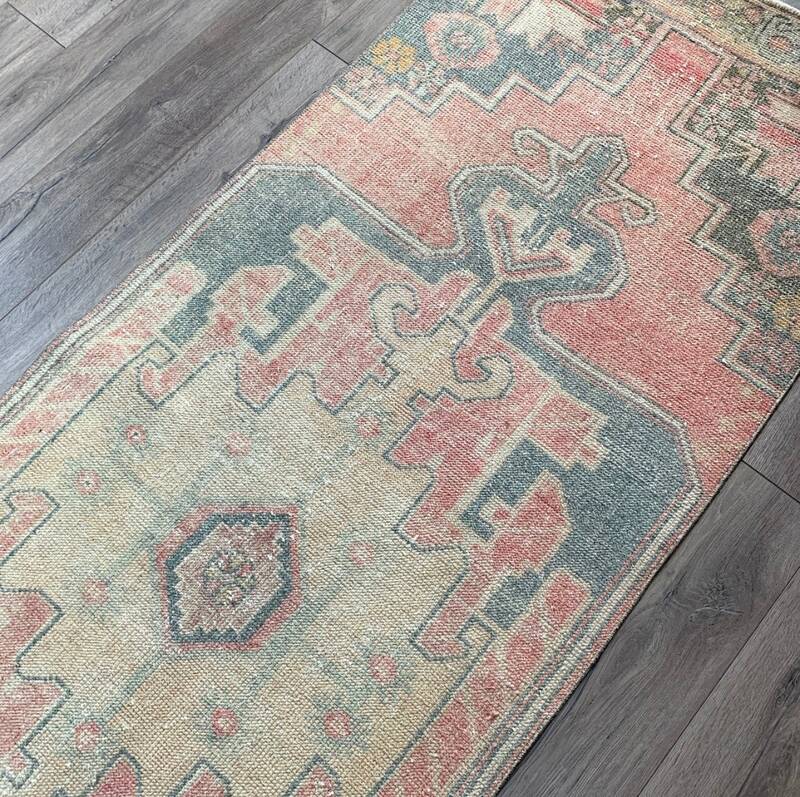 Pale yellow, mauve and blue details colour the border and it’s in great vintage condition. 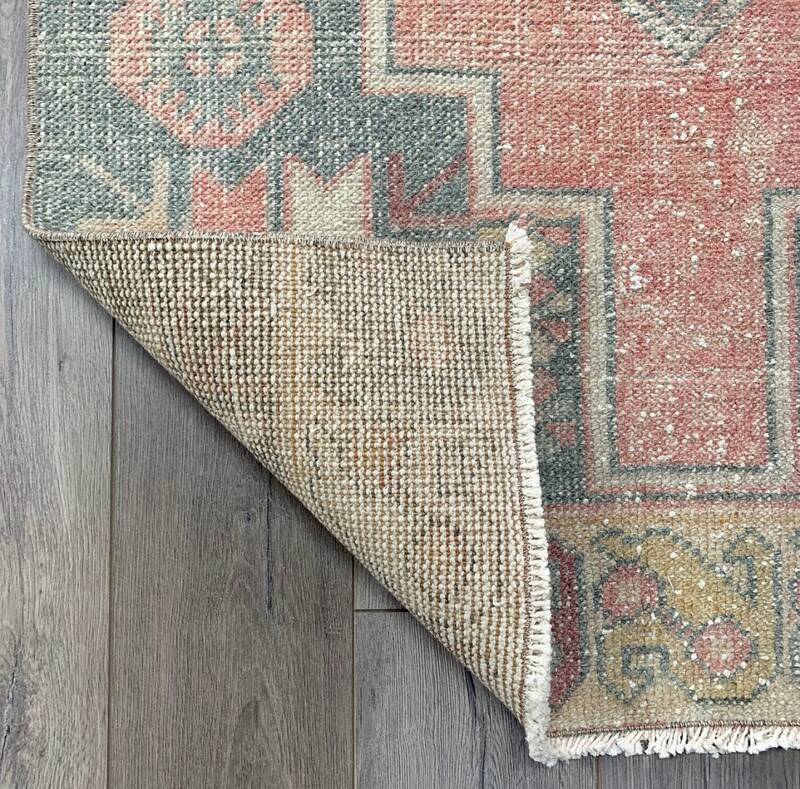 Turkish Oushak rugs are durable and made for everyday use. 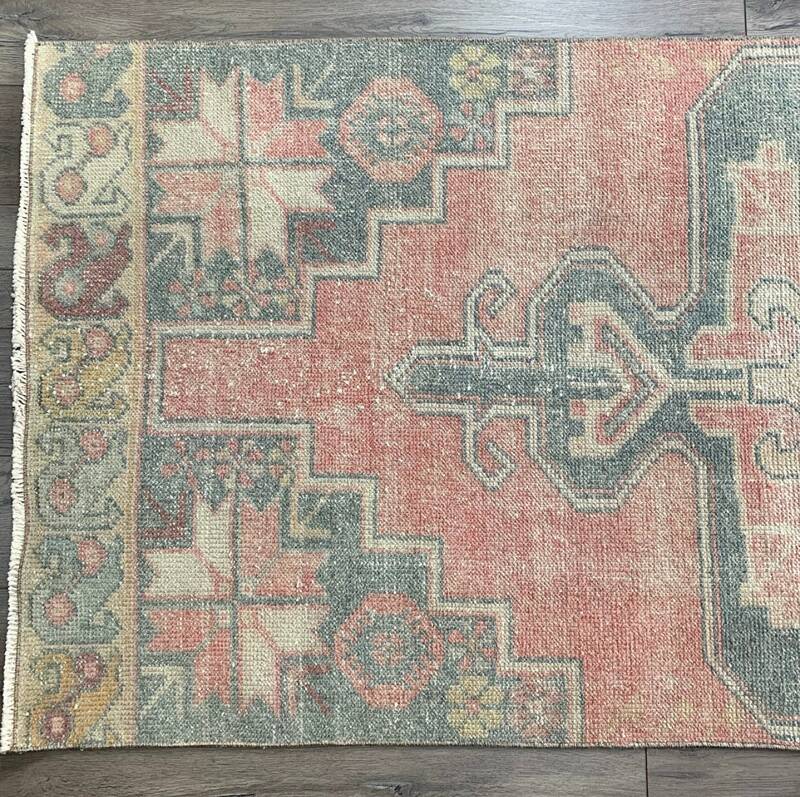 This rug would work well in a hallway or kitchen to add colour and history to your space. 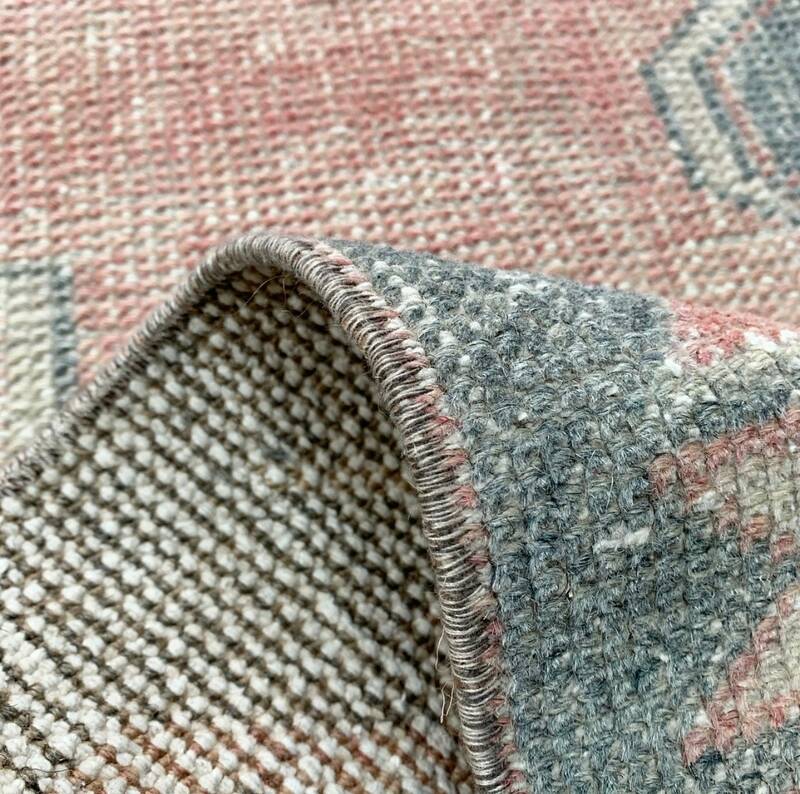 Regular vacuuming and spot cleaning is recommended.